Cape taxi bosses say they are so fed up with the ANC’s continued support of the implementation of the Bus Rapid Transit (BRT) system, they are going to vote for the UDM in the coming elections. 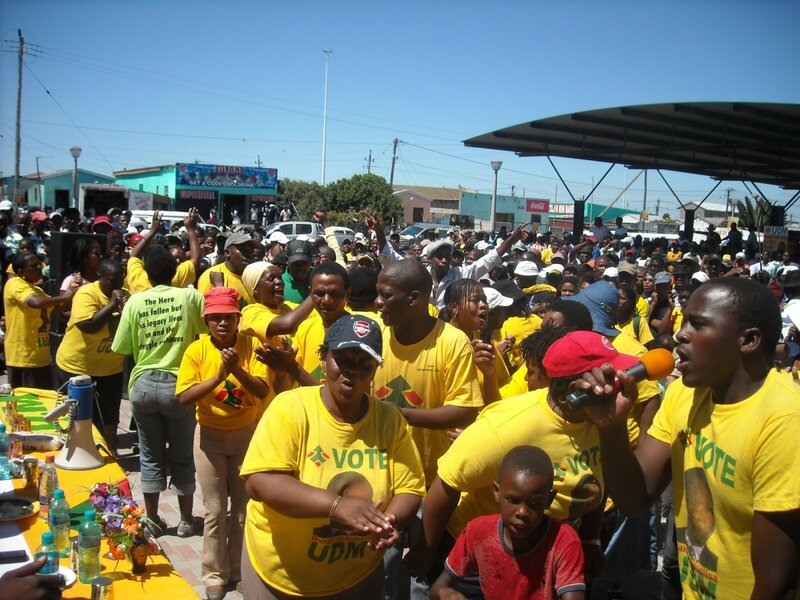 Their support for the United Democratic Movement was announced by the Du Noon Taxi Association (DTA) and the Western Cape National Taxi Alliance, at a UDM rally at the Du Noon taxi rank on Sunday. UDM leader Bantu Hlomisa received a hero’s welcome as a convoy of twenty taxis packed with taxi owners singing Holomisa’s praises, escorted him into the township. DTA spokesman Terrence Mhlangatshoba, speaking to a gathering of almost 1 000 residents, taxi bosses and drivers, said 59 taxi owners from the DTA, and 115 taxi drivers, all previously ANC members, would support the UDM. Mhlangatshoba said the move was due to the ANC working with the DA-led City of Cape Town to pushing through the BRT system despite taxi owners’ vocal opposition and demands to be included in the planning. He said the only political organisation supporting the taxi industry in its battle against the BRT system was the UDM. He said the city was “lying” when they said the majority of taxi owners supported the BRT system. He said the taxi owners who supported the city’s plans were “the minority” who were “puppets” aligned to DA leader and Cape Town mayor Helen Zille. Western Cape National Taxi Alliance Public Relations Officer Mvuyasi Mente said they wanted to “topple” the incumbent government by voting UDM. “Some one cannot come and take our business away. If they continue we will make sure this country is ungovernable, we will disrupt everything. 2010 will be history,” said Mvuyasi. He said all Western Cape National Taxi Alliance members were now supporting the UDM. Holomisa said people had lost faith in the ANC over the past two decades, but the ballot paper gave people “the power to change what you are not happy with”. “The way the ANC is ruling this country is destroying the image of South Africa in the international community,” he said. But Du Noon ANC ward councillor Peace Hlumile Stemela laughed at the UDM’s intention to steal votes from his ward. Stemela said the people attending the rally “just wanted t-shirts”. “We are not scared of small parties, every party can come recruit members. At the end of the day the ANC reigns,” Stemela said.